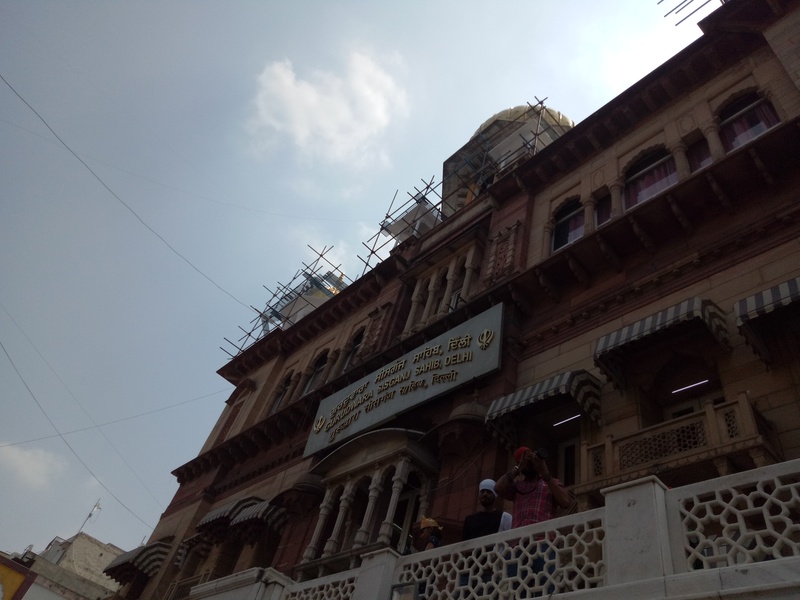 How Chandni Chowk is an authentic and delightful journey? Hey Readers! Welcome back to Gastronomically Yours. We hope that you loved our previous blog post, i.e. Friends Cafe- A Place to Meet, Eat & Treat. 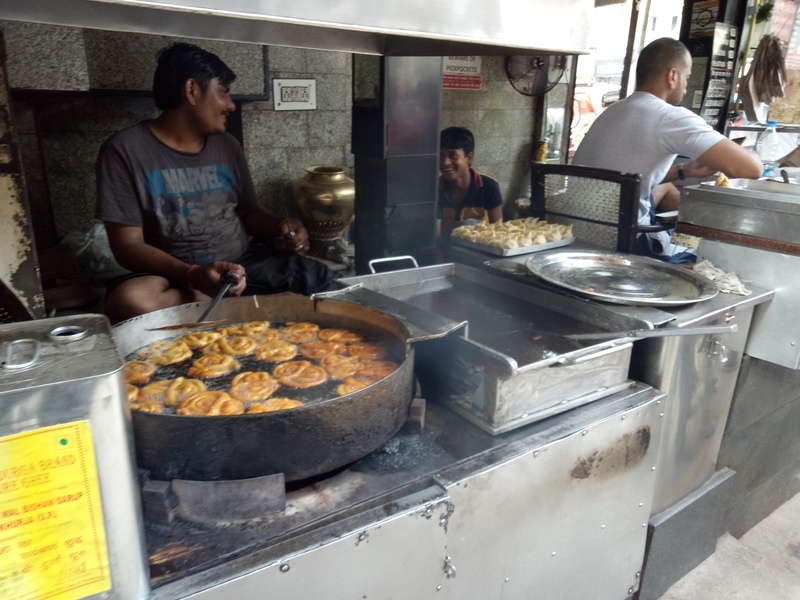 We at Gastronomically Yours recently visited Chandni Chowk, the heart of Old Delhi. 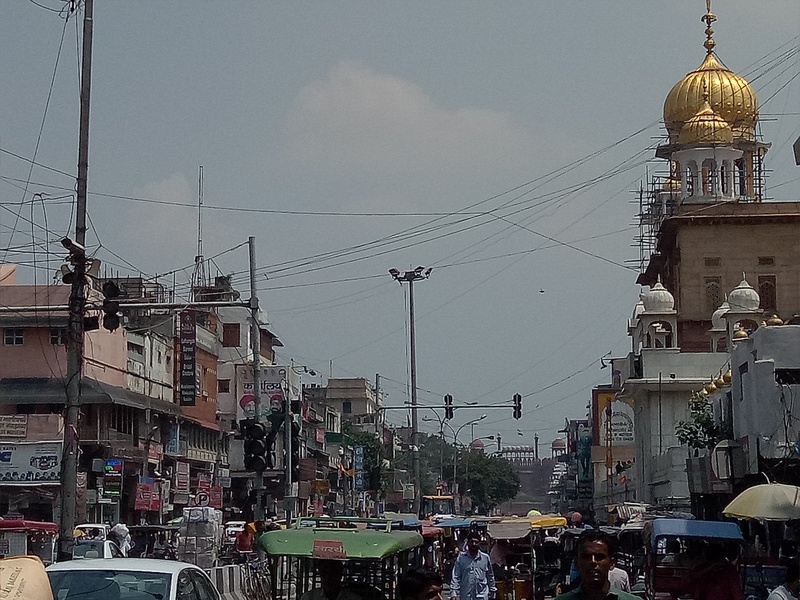 Chandni Chowk is one of the oldest and most energetic shopping areas in Delhi. Now we will share our experiences. 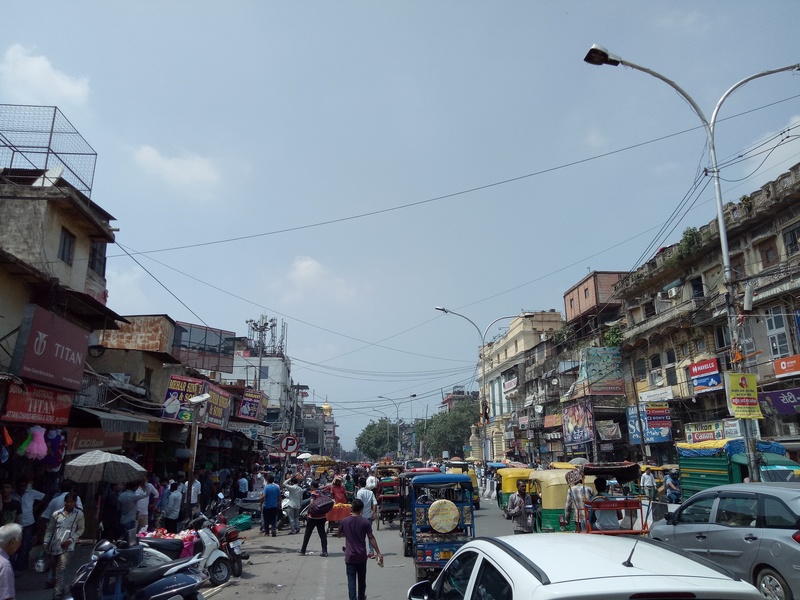 Chandni Chowk is accessible by Delhi Metro. We took the violet line metro and get off at Red Fort(Lal Quila) metro station. 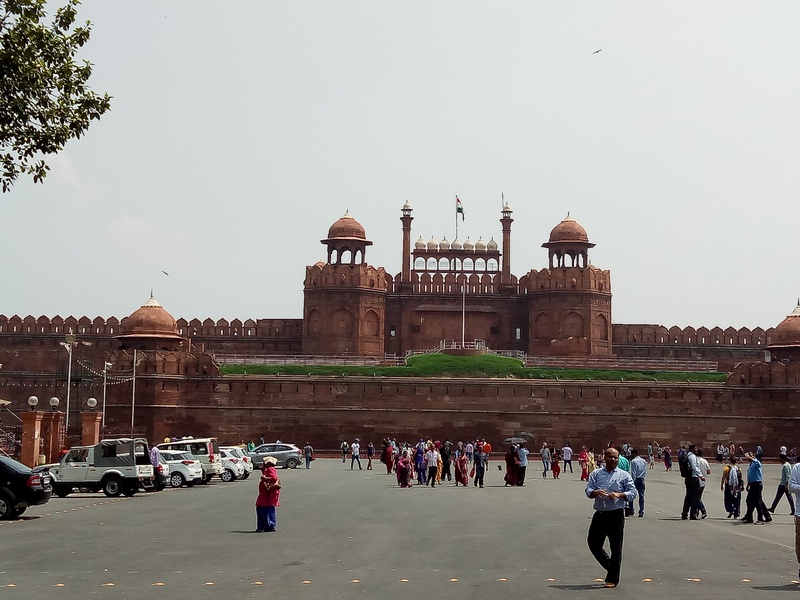 Red Fort is situated to the left hand side of the metro station. 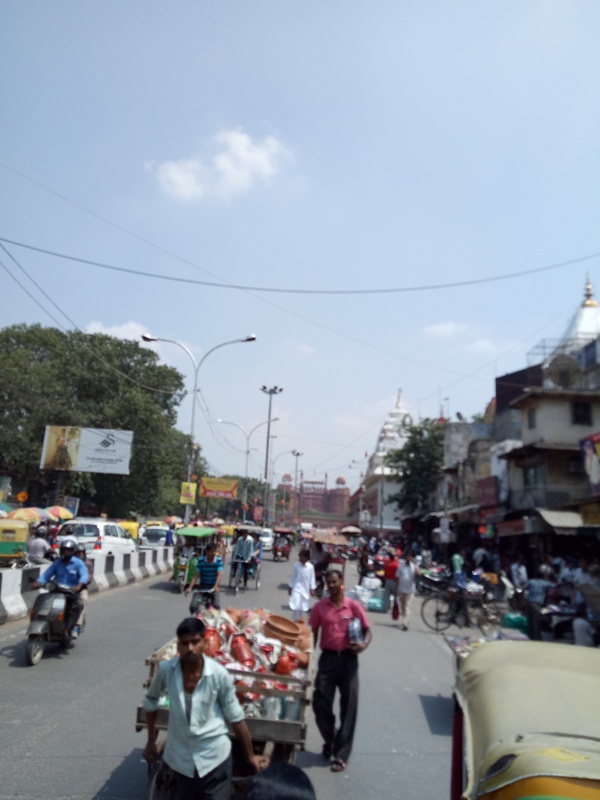 The opposite side of the Red Fort leads to Chandni Chowk market. Explore the area by foot and maybe a rickshaw if you don't prefer walking so long. Once you cross Red Fort, you will first see the oldest and best known Jain Temple in Delhi i.e. 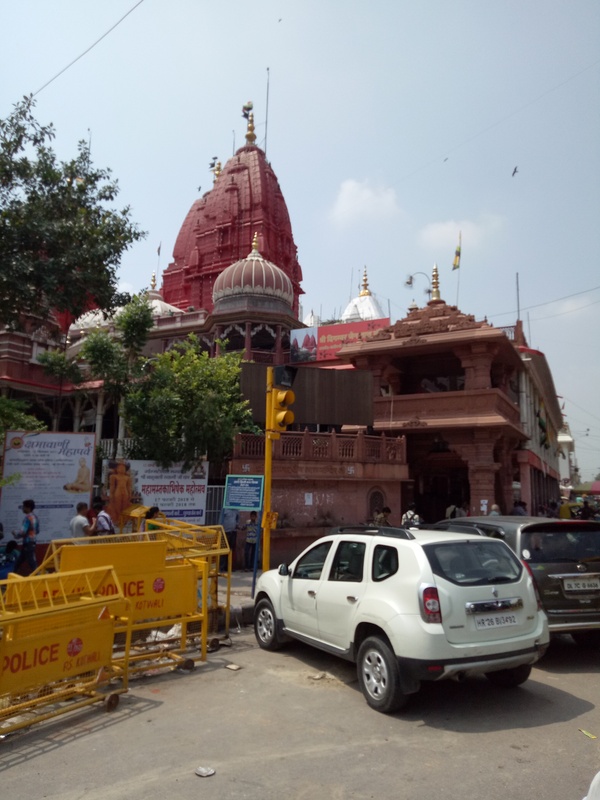 Shri Digambara Jain Lal Temple, from there we went to a jalebi shop aptly named, Old Famous Jalebi Wala which is about 5 minutes walking from there. The shop is opposite to Central Baptist Church and it has been there since 1884; running their venture for the past for four generations of the family now. 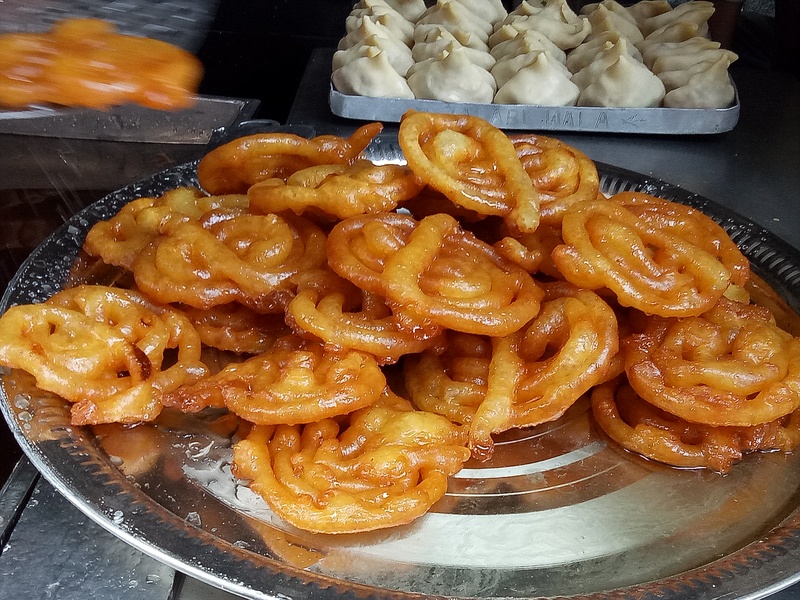 Apparently famous for their piping hot, thick and juicy, freshly made jalebis that they offer, which are made up of desi khandsari sugar for making the syrup instead of using regular sugar, and jalebis are prepared using pure desi ghee. They have a wide range of other items as well, but we've only tried the jalebis which would cost Rs.50/100gm. 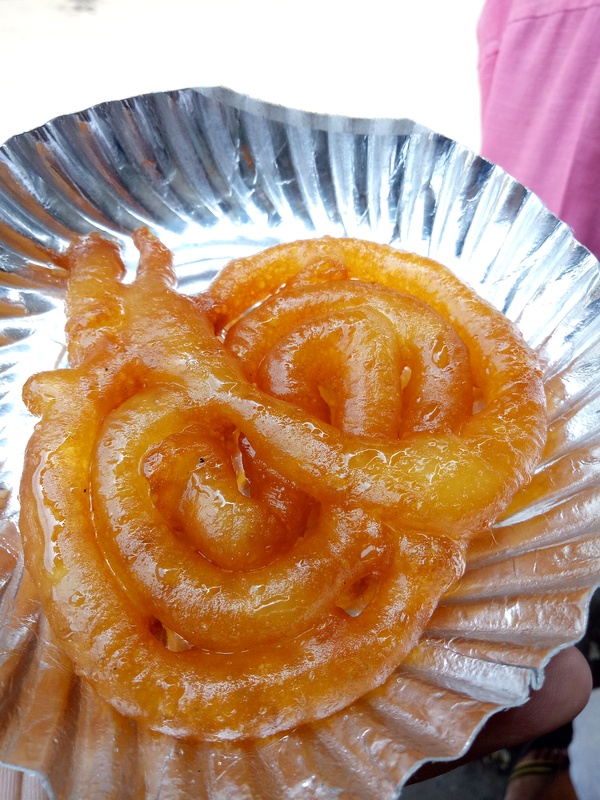 After having these jalebis, we went to Natraj Dahi Bhalla Corner which is about 4 minutes walk from the jalebi shop, passing the Gurudwara Sisganj Sahib. 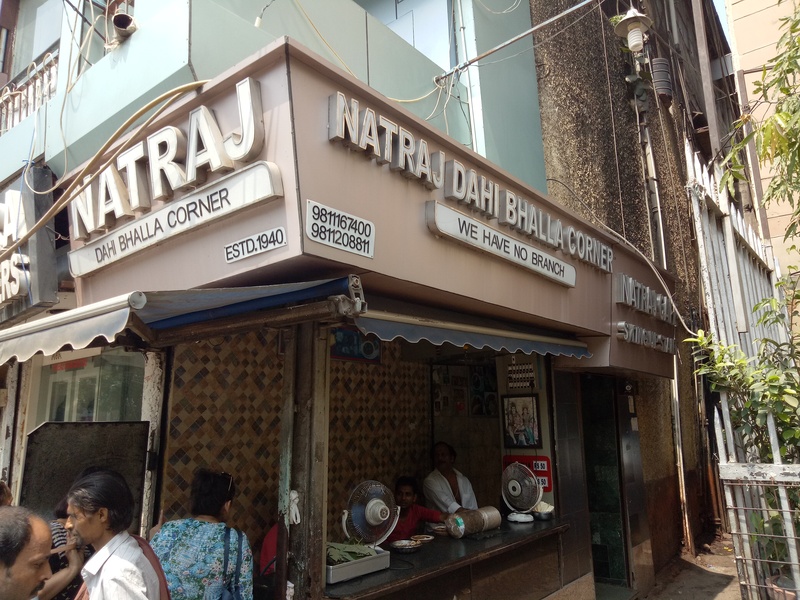 We've heard many times, the shop is famous for Dahi Bhalla but in reality, what we've found that it is just an ordinary shop selling 2 items i.e. Dahi Bhalla and Aloo Tikki, and those items are of average taste and quality. 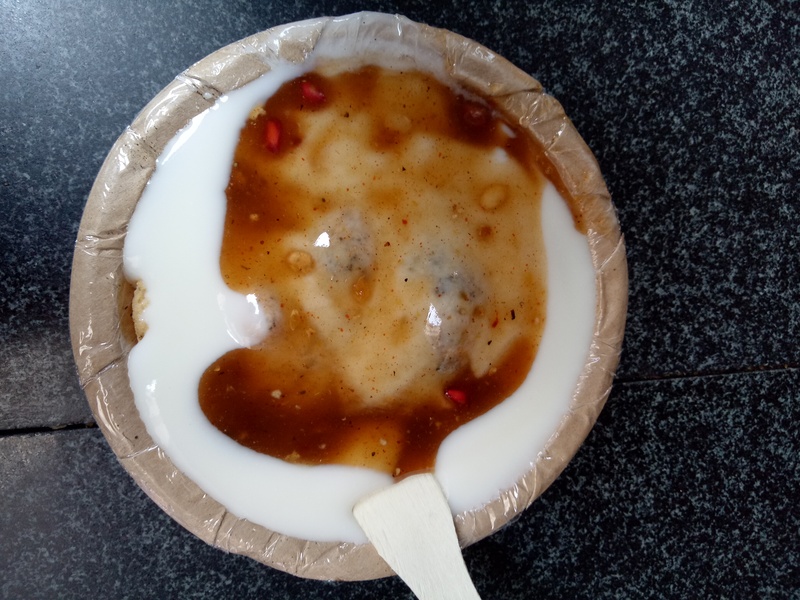 We ordered one plate of dahi bhalla which was for Rs.50 only. 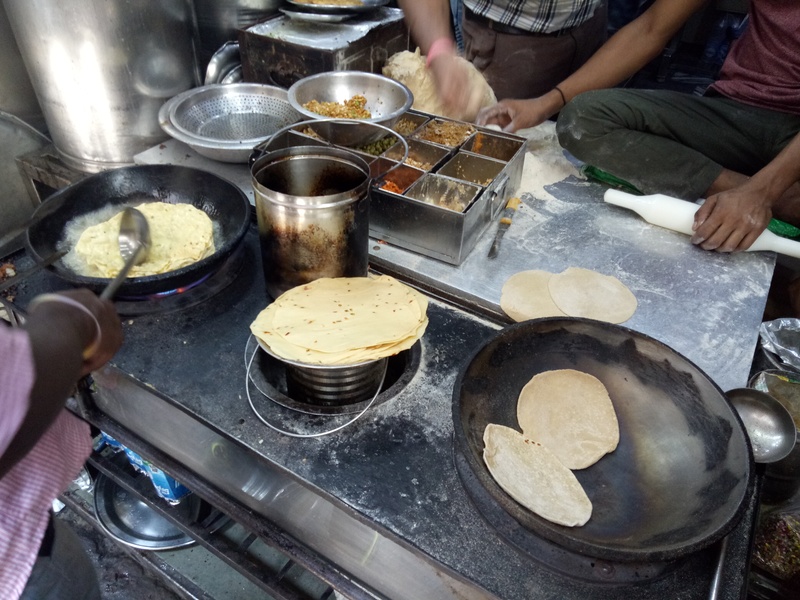 Then we decided to go to Paranthey Wali Gali (the bylane of flat bread) which was just opposite to Natraj Dahi Bhalla Corner. 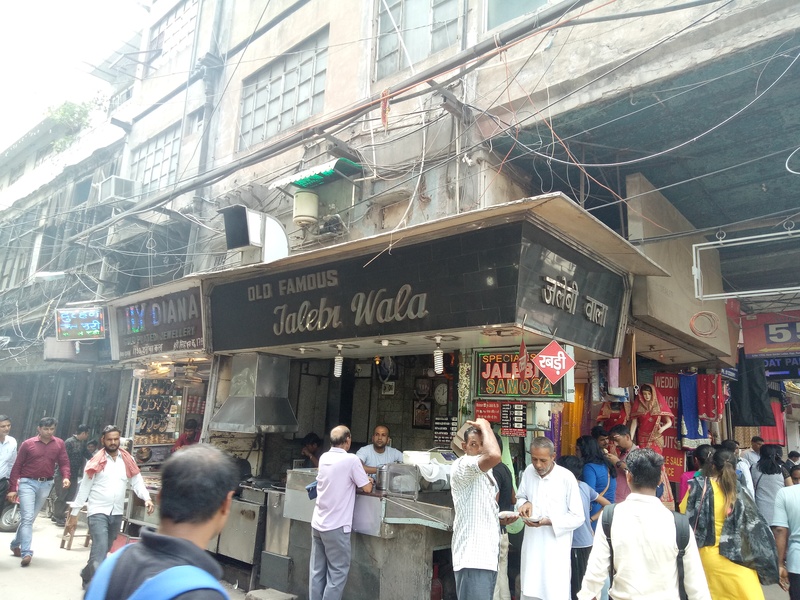 Paranthey Wali Gali is a narrow street and congested, especially on weekends, and its famous gourmet locality in the world. 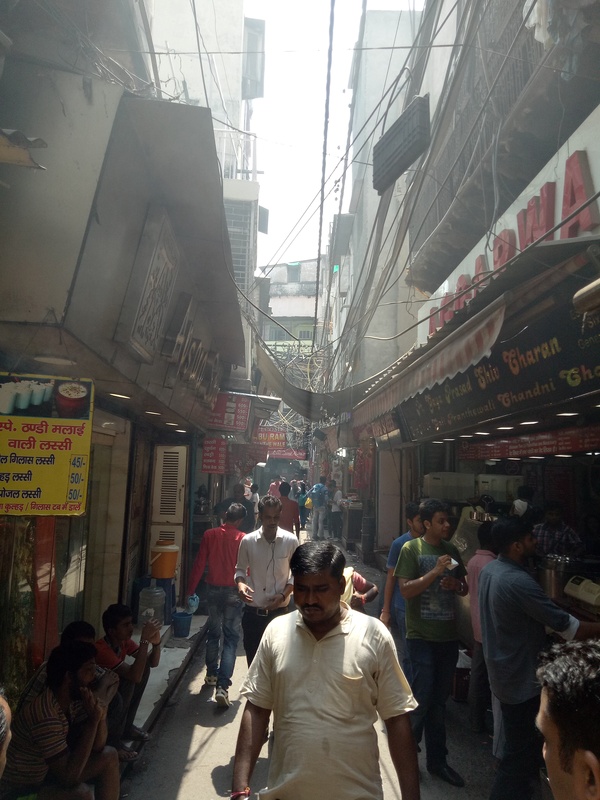 This narrow was once home to almost 20-25 shops, but now it has only 5-6 shops serving paranthey. 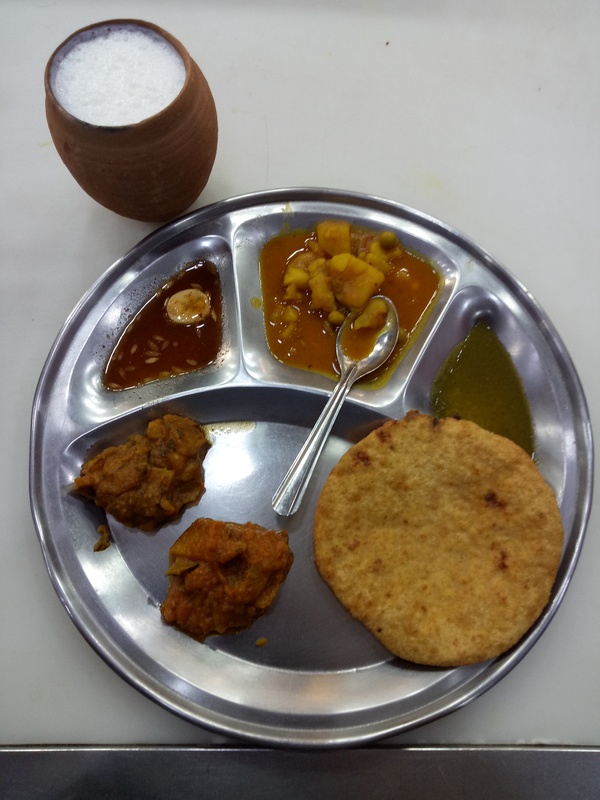 We at Gastronomically Yours were told that Pt.Gaya Prassad Shiv Charan joint, have served many famous political leaders as well as Bollywood stars. We ordered a mix parantha and paneer(cottage cheese) parantha. Paneer parantha were low on filling , something which we didn't expect from parantha that cost Rs.60 on an average. There are many small eateries and if you have time you can visit the original Gianis which is known as Gianis Di Hatti. Overall the food journey was good. There are some more eateries which have a wide range of pocket friendly food. 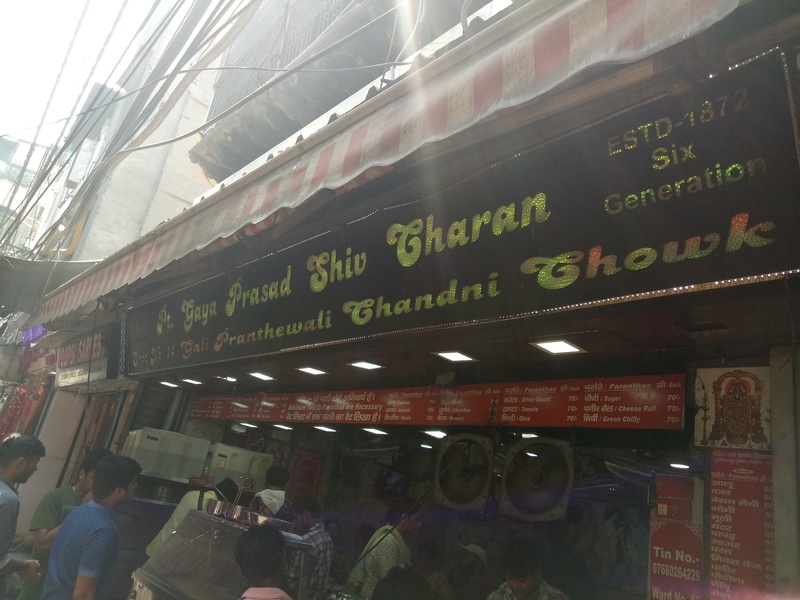 We at Gastronomically Yours recommend our reader to plan out their visit to Chandni Chowk well in advance.